An exhibition of speed, power, and performance and design for the London 2012 Olympics. 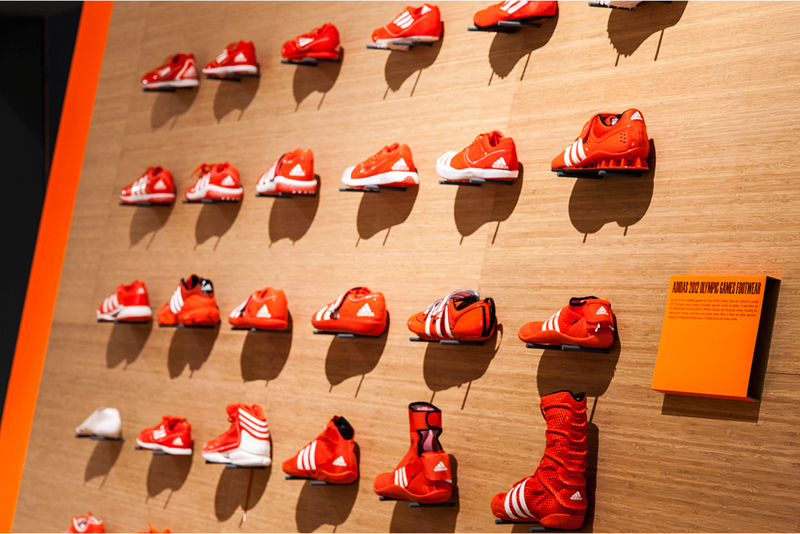 This exhibition was held at the Design Museum London as part of the city’s hosting of the 2012 Olympics. 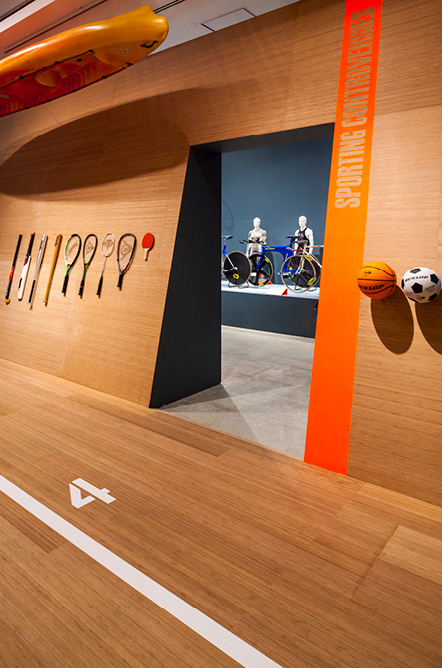 The exhibition design featured how design has contributed to Olympians and sports men and women winning at an enormous range of sports. We worked closely with the curatorial team to develop a central “chute” cutting through the gallery that evoked a running track, velodrome and bobsleigh combined. To each side 5 thematic sections communicated the exhibition’s themes. Life size graphics sports personnel, from jockeys to Sumo wrestlers helped explain that there is an Olympic sport for everyone. The exhibition brought many new people to the Design Museum and enabled the museum to engage in the celebration of the Olympics being held in the capital. "It has been a pleasure to work with Mowat & Company as their experience in exhibition design leads to an approach which is extremely object-focussed. This provides visitors with an informative learning experience, that is also dynamic and architecturally stimulating."